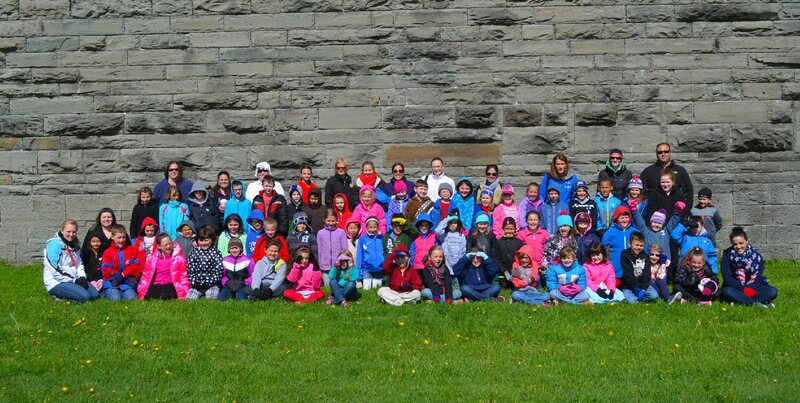 OSWEGO, NY – Kingsford Park second grade students from the classrooms of Kelly Waite, Melissa Stafford and Taylor Castaldo recently visited historic Fort Ontario in Oswego. 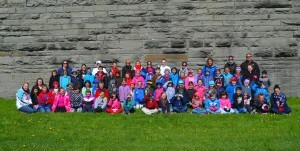 The field trip was part of the students’ studies on the War of 1812. Students, teachers and chaperones are pictured outside of the facility. The current Fort Ontario was built on the ruins of three earlier fortifications dating to the French and Indian War, Revolutionary War and War of 1812. 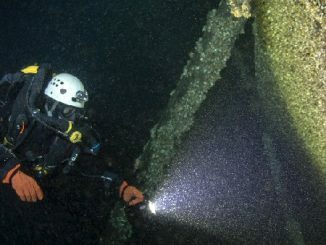 It was occupied by the United States Army through World War II. From 1944 to 1946 the fort served as the only refugee camp in the United States for mostly Jewish victims of the Nazi Holocaust under an executive order from President Franklin D. Roosevelt. Fort Ontario houses two guardhouses, a powder magazine, storehouse, enlisted men’s barracks and windswept ramparts featuring magnificent views of Lake Ontario and underground stone casemates and galleries that the Kingsford Park students were able to tour.